PayPal is making a few minor tweaks to its organization today, marking some of the first changes since David Marcus became president in March. 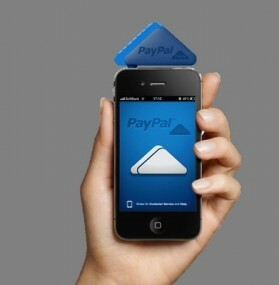 The first move will consolidate all of PayPal’s product groups into one global product organization led by one man: Hill Ferguson, who was previously in charge of the company’s mobile organization. Marcus is also combining the Americas regional organization with the Global Financial Services group, and, as part of that, is appointing Gary Marino to head the combined entity. Ferguson joined PayPal through the acquisition of Zong, where Marcus was the CEO, and Marino was the founder and CEO of BillMeLater, which was acquired by PayPal in 2008. In a blog post, Marcus says the reason for the new structure is simplicity, and that the company will be applying its best practices found in its mobile division to all of the company’s services. Mobile also includes the company’s offline payments division, which is going after the massive opportunity to bring PayPal to checkout counters around the world. The new organization also hints at an increasing emphasis on financial products, such as its credit product called BillMeLater. In addition, Don Kingsborough, who joined PayPal last year to help expand the company to offline payments, will be joining PayPal’s executive team, and Rupert Keeley, who was president of Asia Pacific, will now also run Europe Middle East and Africa (EMEA). He will remain the interim head of Asia Pacific until a replacement is found.